We are mainly in the line of furniture and some electric and electronic items. 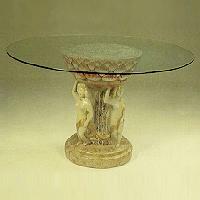 Furniture include: dinner tables, coffee tables and end tables (plaster base, glass top and artistic designs, high quality). Ceramic lamps: table lamps, stand lamps, wall lamps and ceiling lamps, high quality, with various quality certificate CE, GS, UL, SAA, VDE and others if needed we can apply for. Electric items: various clocks including small clocks and wall clocks.